The Big Guy loves carrots. 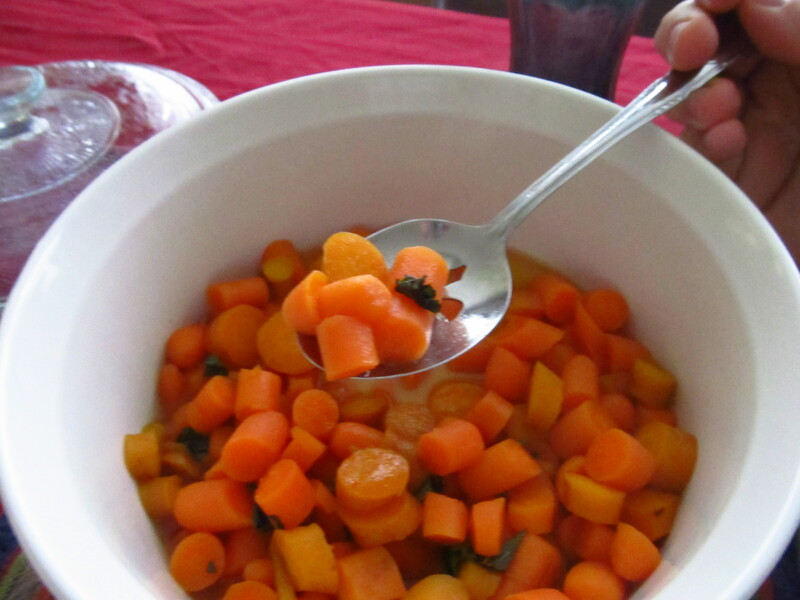 One of his favorite sides is either maple, brown sugar or honey glazed carrots. This is quite easy. lemon juice — from 1/4 of lemon. The recipe I adapted this from used orange juice. Due to allergies I substituted lemon for orange. In a small sauce pan melt butter. Next add honey, maple and or brown sugar. Stir until well mixed. Add enough water make glaze cover bottom of pan. Add lemon juice. Stir. If desired toss a handful of mint or parsley on carrots.